Buddhist priest of the Myoshin-Ji School of the Rinzai-Shu Sect of Zen Buddhism. Gukei was born in Nankaibu County of Buzen Province (present Oita Prefecture) at the end of the Samurai period. At 7 years old, he entered a Buddhist monastery at the Gansho-Ji Temple in Buzen. In the 5th year of the Meiji era (1873), Gukei went to Uwajima in Shikoku Island and became a disciple of Sekiseki Tokoku old master. In the 25th year of the Meiji era (1892), Gukei started living at the Saiko-Ji Temple in Uwajima. In the 13th year of the Taisho era (1924), he became the 551st chief priest of the Myoshin-Ji Temple in Kyoto and also became the minister (Kancho) of the Myoshin-Ji School. After he resigned from the position, he moved to the Shoryu-Ji Temple in Hyogo Prefecture. He deceased in the 19th year of the Showa era (1944) at the age of 86. 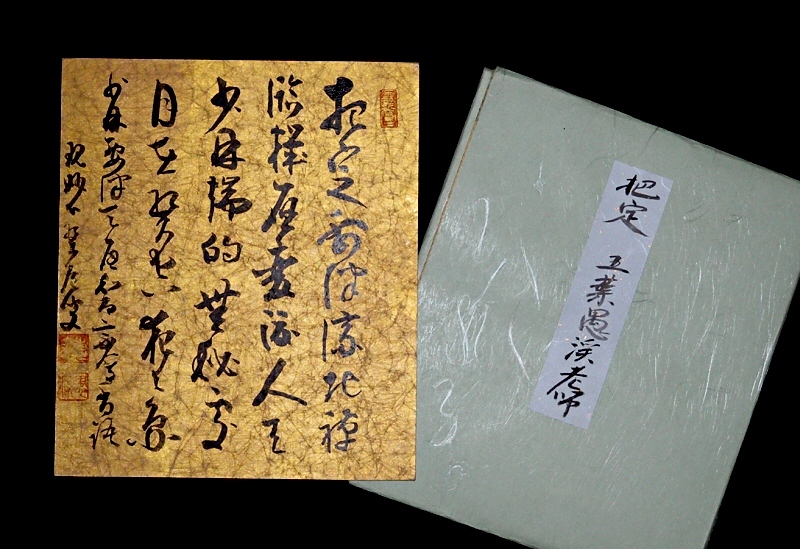 The condition of this Shikishi (square piece of paperboard for writing poems or painting pictures) is not bad. 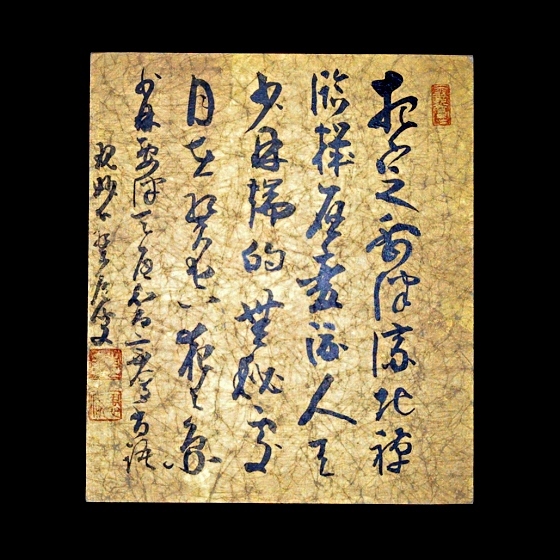 A Kanji poem by Goyo Gukei, high-ranked Zen Buddhist priest, is drawn in good running form using Japanese brush and black Sumi ink.